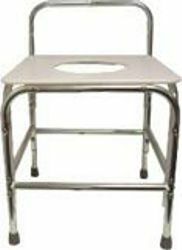 The PCB-1700 Series Shower Stool without a back is designed for shower stall use only. 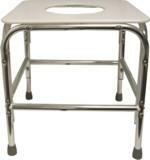 Seat dimensions are 20" X 20" with an oversized perineal opening of 9" X 11" and seat height of 21.25". This chair will not fit in a bathtub. Capacity 850 lbs. 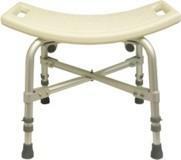 Seat Height: Adjustable 15.25" - 21.25"
contact our:info@pluschairs.com with questions or comments.